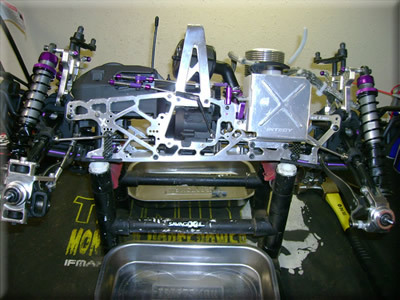 Adding Baja 5B shocks to a Savage X. HPI has their Big Bore shocks for the Savage, but they weren't big enough for me. So I call this the Mega Bore shock mod. I love how these shocks handle. Some think they would be too stiff, but they are not at all. They are not as stiff as the 8 MSR8 shocks I had on before. I will not show the entire process as some parts did not work and broke. I will only show the final working product and what parts were used to make them fit, as well get full travel from them. The first and most important parts are the shocks themselves. 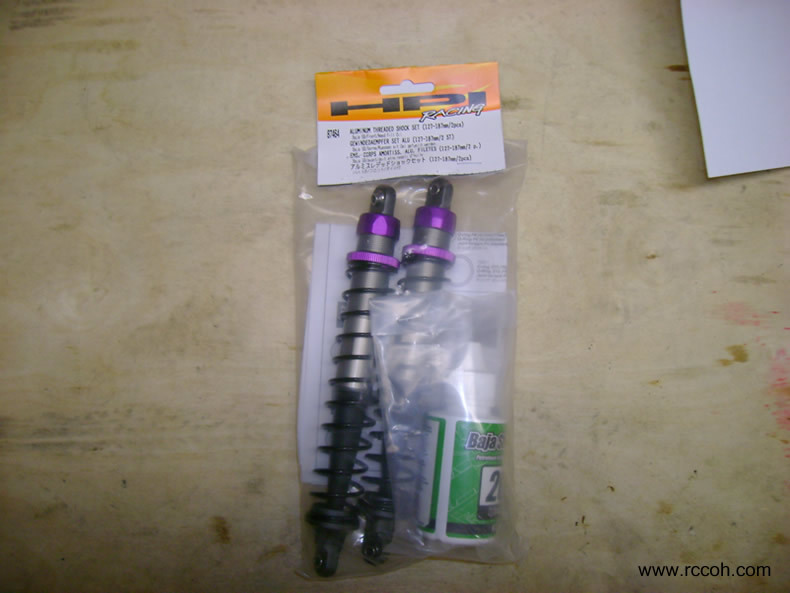 I used the front shocks for the Baja 5B RTR. 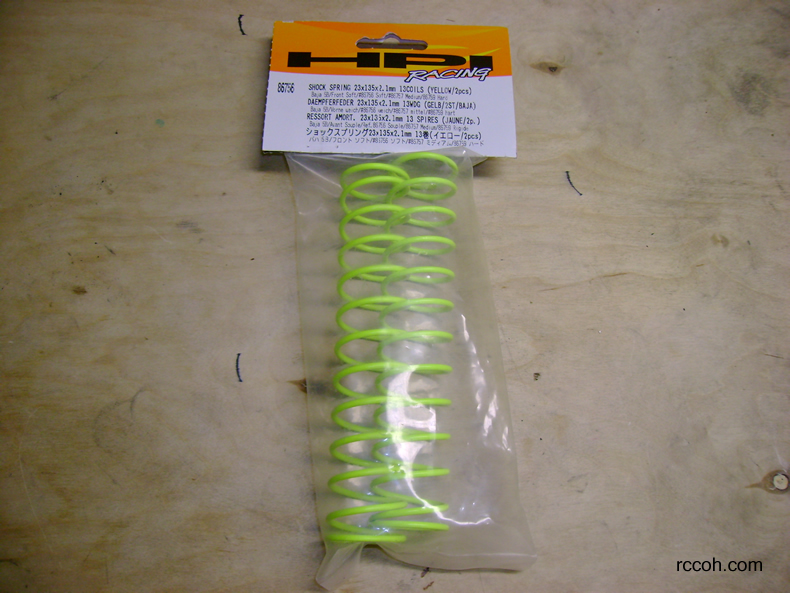 I also got some softer yellow springs that will work better with the lighter Savage. The yellow wasn't going to match so I painted them black. 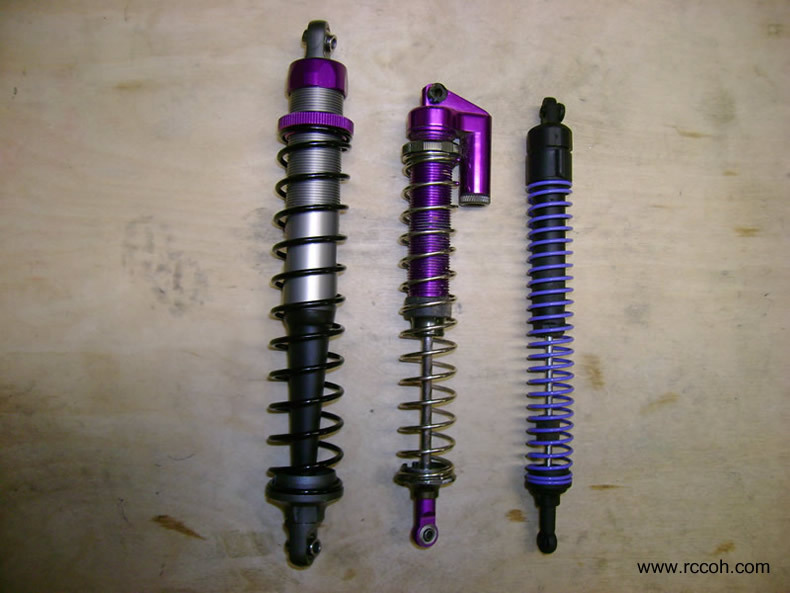 For a size comparison, here are the stock shocks, some MRS8 shocks (same size as HPI Big Bores) and the 5B that will go onto the Savage. 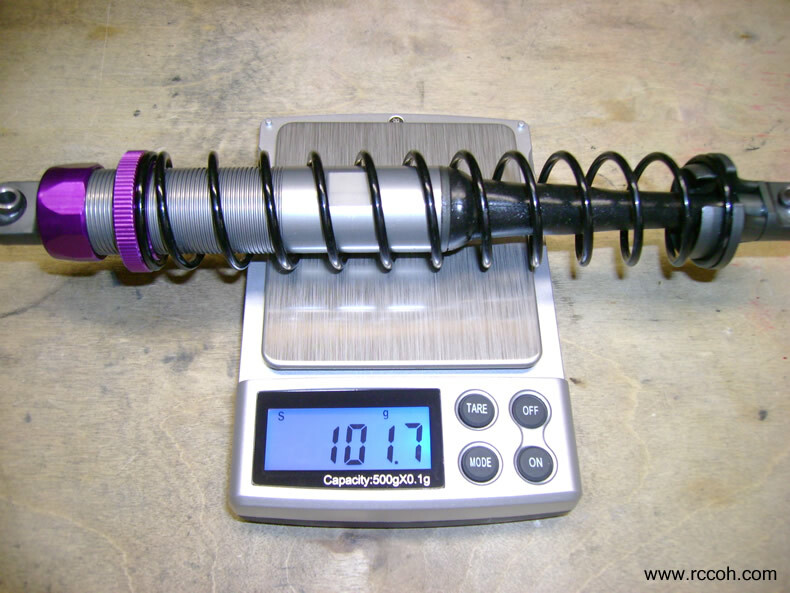 Filled, these massive shocks weigh in at 101.7 grams vs. 2 of the stock ones that weigh 68.7 grams so each shock you are adding just over an ounce. That's adding a quarter pound for all 4.